This is a sponsored post written by me on behalf of FreshTech™. My wife and I fight over air fresheners in the car. She says that the car stinks (and she's probably right) but I hate those fruity and flowery smells and even worse is a flower clipped to my air vents. Seriously, that's a major buzz kill when guys jump in the car and stare at a pink flower. I came across a company called FreshTech™ though that offers a solution to both of my problems, so I decided to test it out. 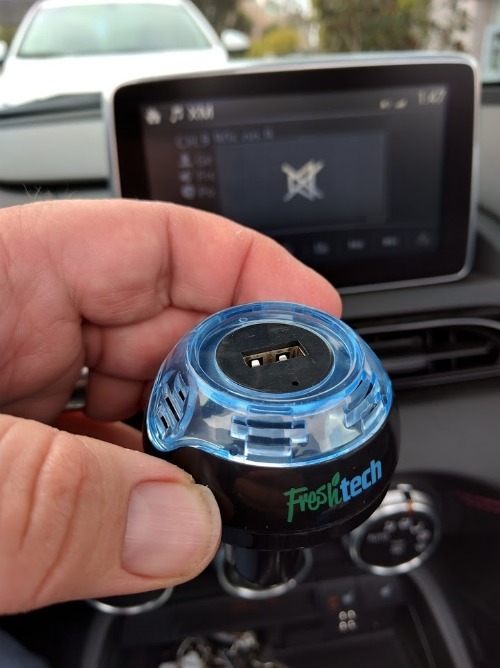 The folks at FreshTech™ have a bunch of different products, but the ones we're testing out this week are a mashup between air fresheners and car gadgets. Honestly, I don't know if this makes them manly or just a good decision, but I've learned over the past 10+ years of marriage that when I can get something that helps me and Heather than that's a good decision. So, we both win - she gets her air fresheners and I get my phone or charging gadget and we're both happy! 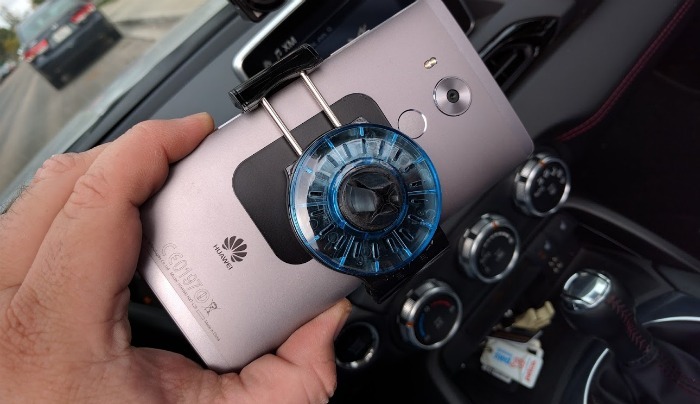 The first gadget - and the one that's probably going to stay in my car since it's just so easy and practical is the Magnetic Vent Mount + Air Freshener. To use it, simply attach the metal plate to the back of your phone with the adhesive and tap it against the vent mount. Just like in the magnetic version above - except it's a clamp instead of a magnet, this version has the air freshener reservoir behind the mount so it's clean and out of site. However, since it is mounted on the vent, the scent will carry through you car and make it smell great. Initially I was a little skeptical of the magnet being able to hold a big phone and I was also cautious about whether or not it would open wide enough for a big phone like my 6" Huawei Mate 8. Luckily, the answer to both was YES. This is particularly impressive since most similar mechanisms on selfie sticks aren't designed to accommodate "phablets". FreshTech™'s mounting system is actually surprisingly good too and includes 4 rubberized prongs so it's easy to attach. While you can wobble the phone a bit, it generally stays in place and is easy to mount/dismount. It even survived some tight turns and pot-hole-filled streets that I tested it on. 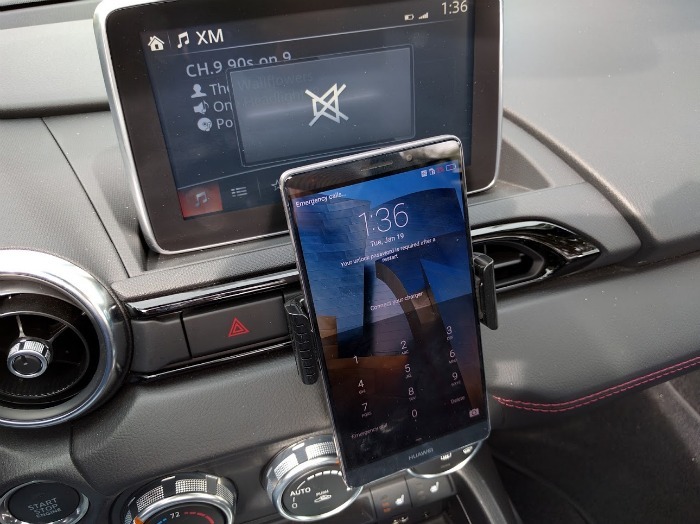 I really like the fact that I can mount the phone in the car like this. Besides it being a safety issue vs fumbling with the phone while driving, it helps so I can simply look down to see if something is important or not. Don't need a mount for your phone? That's OK - I'm sure you do charge it in the car and now you can do that while helping your car smell good at the same time. FreshTech™ has both Single USB Car Chargers and Dual USB versions. 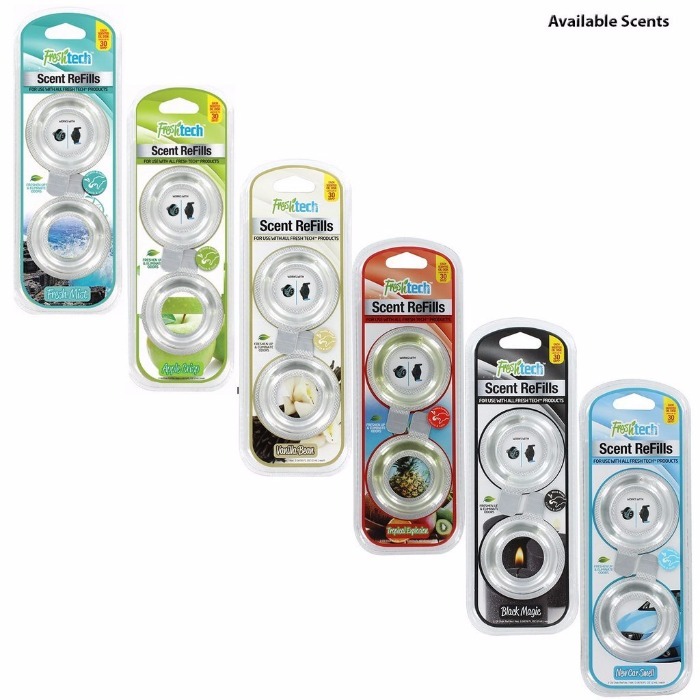 While I think you can't go wrong with "New Car Smell", there are five other scents including: Tropical Explosion, Black Magic, Vanilla Bean, Fresh Mint, and Apple Crisp. 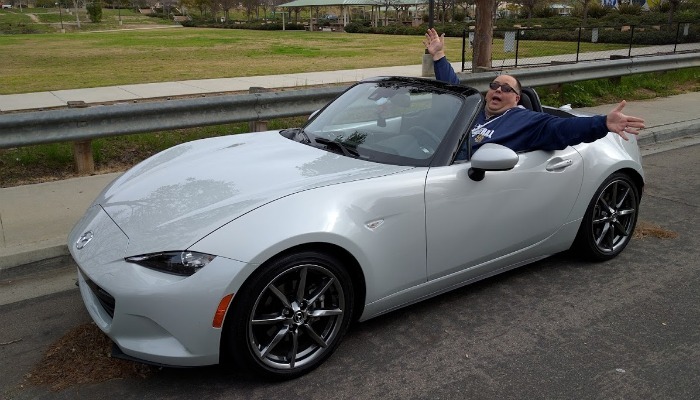 Of course, the ultimate solution is to get a convertible and then you can just drop the top to get some fresh air in the car. 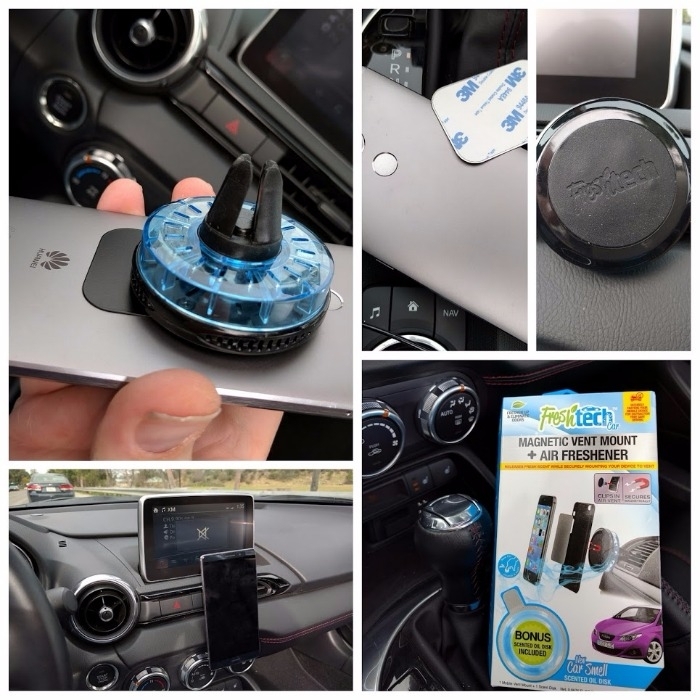 Lucky for you though, at $9.99-$14.99 these air fresheners / car gadgets are a whole lot easier to buy than a fancy new car :) FreshTech™ products can be purchased online or in stores including Target where you can find the entire line of air fresheners.